Jayded Dreaming Beauty Blog : RESCHEDULED ALLURE SUMMER 2014 BEAUTY BOX - MAY 6th 2014 at 12:01 PM EST. RESCHEDULED ALLURE SUMMER 2014 BEAUTY BOX - MAY 6th 2014 at 12:01 PM EST. 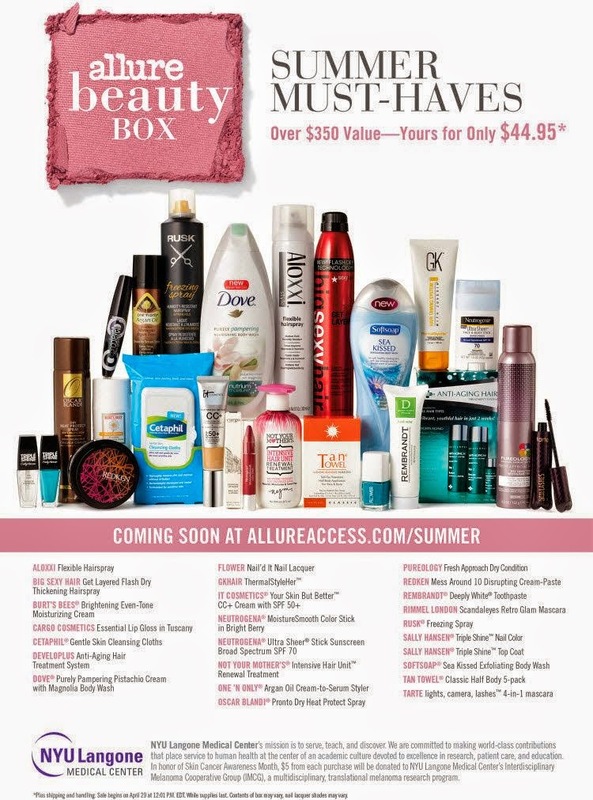 Originally the Allure Summer 2014 Beauty Box was supposed to go on sale April 29th but due to technical difficulties on the part of Allure and their website they have postponed the sale until May 6th. Now some beauty enthusiasts were able to place an order and according to Allure they will honor those orders. While others, like myself, were not even able to get the Allure website to load long enough to place an order. Hopefully with the rescheduling of the event everyone will be able to get through this time. The Allure Beauty Box will be available at 12:01 PM Eastern time on May 6th, 2014. During the last launch Allure provided multiple links to purchase the Beauty Boxes so I will try to update my original post here and this post with any available links.